Would-be migrants hoping to flee war in the Middle East are using Facebook as their compass for finding the smugglers they hope will get them to a better life in Europe. The US-based website and other social media that were once used to help mobilise the Arab Spring uprisings now host information services for those escaping the Syrian civil war and other conflicts in the region. There refugees can find much of what they need to know, right down to the prices, fees, and bribes they will have to pay on a journey fraught with dangers ranging from drowning at sea to suffocating in a lorry. On top of this, messaging apps such as WhatsApp and Viber help them en route to contact smugglers, friends and families alike, while mapping apps ensure they don’t get lost. In Facebook groups set up in Arabic, users post phone numbers of contacts they say can take refugees from the Turkish coast to nearby Greek islands or even further into Europe, a continent struggling to cope with the migration crisis. 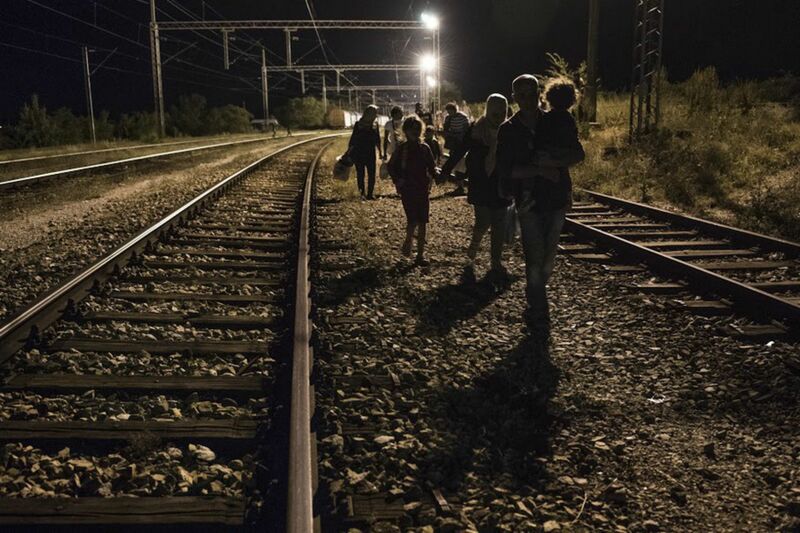 For those seeking a boat ride to Greece, details on where best to cross the Serbian-Hungarian border, or the price for being smuggled all the way from Turkey to Germany, users of these groups appear to offer many of the answers. An ad posted this week offered a late availability seat in rubber dinghy departing from the Turkish seaside city of Izmir, one of the main points of departure for Syrian refugees trying to reach Greece. The price: $1,200. “The trip is tomorrow, 100 percent, for sure,” it said. “They’ll give you a free life jacket.” Another post offered places on a more comfortable “tourist yacht” at 2,500 euros. Facebook guides refugees before they even leave Syria, said Muhammed Salih Ali, head of the Izmir-based Association for Solidarity With Syrian Refugees. Many are told on Facebook pages to make their way to the Izmir district of Basmane, the informal headquarters in Turkey for traffickers, and those hoping to make the passage. “They are able to make contact on Facebook with intermediaries. Once they are in Basmane, they can also spend three or five days at hotels and investigate their options. They speak with others about which smuggler is more affordable or has a reputation for safety,” he said in an interview. Social media have played a crucial role throughout the turmoil that has gripped the Arab world since 2011. It helped activists to mobilise protests against their rulers in countries such as Egypt, Libya and Syria itself at the start of the Arab Spring, and then became a means for citizens to report on the violence that followed. It remains an important organising tool, and a practical aid for those travelling to and then through the European Union’s 26 “Schengen area” states, which have scrapped border controls between each other, as they head north for countries such as Germany and Sweden where they hope help is at hand. “We use our smart phones primarily, to have a GPS signal so we don’t get lost,” said a Syrian refugee who gave his name as Ahmad at a Budapest railway station, where he was camping last week with hundreds more refugees. With Turkey hosting about 1.9 million Syrian refugees fleeing a war that shows no sign of abating, many more people are heading all the time to the EU via neighbouring Greece. The UN refugee agency has registered more than 4 million Syrian refugees across the Middle East, with another 7 million driven from their homes inside the country by the war in which an estimated 250,000 people have been killed. Facebook users also exchange the latest news coverage from Europe on the crisis, including one story about German football fans unfurling banners welcoming refugees. Another article covered Hungary’s efforts to reinforce its border with Serbia to slow the flow of humanity. A trip all the way from Istanbul to Germany costs 6,000 euros, according to one advert on Facebook. “Turkey, then Greece, then Macedonia, then Serbia, then Hungary, arriving at Germany. You only have to walk for one hour, and then cross the river, with the rest by car to Germany,” it said. One user uploaded a video purporting to show a group of men wearing lifejackets celebrating as they arrived in a boat on the Greek island of Lesbos. A caption with the video offered two phone numbers for future customers. Some refugees make the entire journey from Syria using one agent. Hafez, a 31-year-old refugee from Damascus, said he had found his via social networks. “We got information about agencies, prices, fees, bribes, phones – all logistical details,” he told Reuters in an interview in Belgrade. “We also used Google Maps extensively as people who are crossing to Hungary are sending us waypoints and coordinates. For the moment there are two good spots on the border and one which is potentially problematic,” he said, pointing to his smartphone. The West had better get used to mass migration from the poor and conflict ridden regions of world. To solve the problem it will take a complete change in mindsets in the economic systems and political/corporate leader’s minds. But that is the only way that this growing global problem will be solved if common-sense is used and not political rhetoric. This time that will not work. This assumes or Political Leaders have minds. Currently they lack common Sense. We are fully aware of that and why the system is like it is. But thank you for making me aware of the obvious. But you and the electorate have to look at the fundamentals why this is and where Partyocracy rules and not democracy anymore. For how can a political system get new blood into it when the ‘yes’ men and ‘yes’ women are all pre-vetted by the ‘Party’ is the big problem? Indeed democracy can only emerge if the political system is re-engineered so that the people get ‘people’ representatives and not brain-washed political party representatives, who serve the party more than those who have elected them. Good read and men before their time. For as I have stated previously, Democracy has been corrupted and taken over by Partyocracy and where this is clearly evident with how the electorate are treated with utter contempt these days by our politicians. But betty dear the answer as we are constantly told is more of the same. That is we pay for a bureaucracy which produces policies which lack plans. Typical of the Iraq war I would say and where we are today.